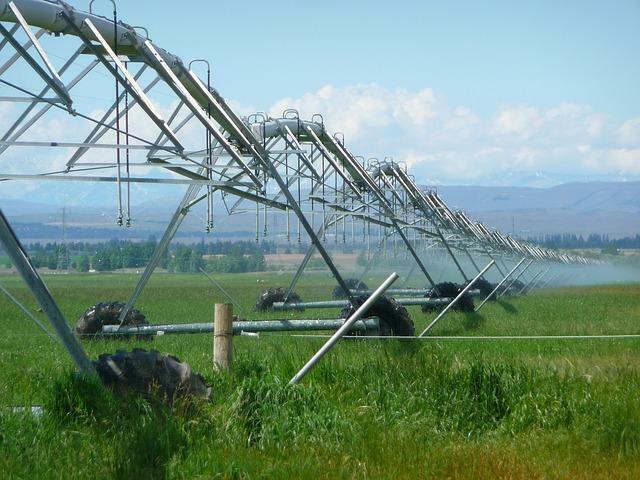 Opponents include many Flathead irrigators who fear the long and complex document threatens their water supply, and ultimately their way of life. Their main voice on the committee was Republican Jennifer Fielder, who doubted that the compact’s power sharing arrangement, a board comprised of both tribal and non-tribal members, could fairly represent all parties. “They are fearful of being placed under the jurisdiction of a tribally-dominated administration, and they have good cause for that and much of that good cause has been submitted for the record, with the way that people who have not supported the compact have been treated by the tribal government," Fielder said. She said just letting a state water court rule on water claims by the tribes might be the better route than passing a compact since the water court has expertise in the issue, while politicians do not. Also arguing for the opposition was Bozeman Republican Jedediah Hinkle, who attacked the most disputed part of the compact: the tribes’ right to water outside their reservation boundaries. This, he said, would essentially turn many of Northwest Montana’s rivers and streams over to Federal Control. The bill’s sponsor, Libby Republican Chas Vincent, disputed the claim that water rights should be left up to courts, since that would force many irrigators into lengthy and expensive courts battles that could be avoided by approving the compact. Vincent took issue with Senator Hinkle’s claim that granting off-reservation water rights would essentially hand over Montana water to the federal government. He urged Hinkle, and other opponents to read court cases involving water rights. “I encourage you to read...all of the case law that is central to this negotiation before you make claims that there is no valid reason to even consider something like off-reservation rights. If you had," Vincent said, "you would understand that you can’t make those kinds of statements." This is when things got tense, and a little personal. "I reject your belittling of me because of the conclusions I have come through because of my studies," Hinkle said. "And I want to remind you a lot of the conclusions I have come through have been through my own questioning process that are on record, both at the informational seminar, and at the hearing. You need to respect if we’re not comfortable with this legislation, then we’re going to vote no." “Senator Hinkle, it is always your right to vote no.” Vincent replied “My apologies if you consider that belittling. I took some of your press release statement that you read as an affront, so we’re even." The compact now goes to the Senate floor, for a vote with a vote likely sometime next week. On the calendar it may have been Presidents Day, but for the Senate Judiciary Committee, Monday was no holiday. This past weekend, about 40 of Montana’s state legislators did something unusual. After a very busy week, they stuck around when they could have gone home. They spent close to three hours on a Saturday morning in the old Supreme Court chamber of the capitol, at the invitation of Republican Senator Chas Vincent of Libby. Some of Montana’s most influential agriculture organizations are lining up to support the Flathead water compact. Yesterday the Montana Stockgrowers Association said it endorses the compact, which is a negotiated settlement between state and federal government and the Confederated Salish and Kootenai Tribes. Right now, ownership of water on the reservation is disputed, and the compact is an attempt to codify who owns and controls the water without having to go to court. One of the issues that you will hear a lot about in the coming months is the proposed water-rights compact between the State of Montana and the Confederated Salish and Kootenai Tribes. It’s the only water compact involving a Montana reservation that remains un-ratified by the state legislature, after the first version was rejected in 2013.